Well, once again the sad truth is that I went through the entire summer without posting a darn thing. I had the best of intentions to write about the new activities and foodstops we tried in Hawaii and then I had another idea about doing a little overview about our very busy summer. It all took too long and I didn't get to it. Now, though we had temperatures over 100 degrees this week, the summer is over and no one wants to hear about it. Very late in August my sister in law in New York called my husband and told him they were planning a November vacation to Las Vegas and Disneyland, with the plan to continue on to my brother in law in San Diego for Thanksgiving and would we like to them for any join them for any part of this adventure. They were bringing my mother in law, who had frequently mentioned a family trip to Vegas, but in her 80 years had never organized it, and our 11 year old niece. Logistics, logistics, logistics! The first thing that was going to have to happen was that I was going to have to take a lot of time off work, over time that included the entire Thanksgiving week and the Friday before. 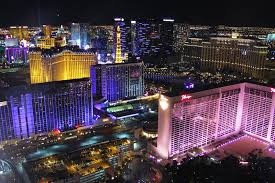 The next problem was taking care of the kids at our house, since we weren't going to take them to Vegas--I maintain my strong standpoint that Las Vegas is not a family destination. The next was whether or not my daughter's championship water polo game might fall on that weekend. If it was going be then we were not going to able to plan the Vegas portion until the very last second. My mom took Friday night. My neighbor took Saturday night. The water polo season ended the weekend prior. I got all the time off work approved. The only snafu was that we figured out that our middle schooler was off of school all of Thanksgiving week but our high schoolers were not. The girls didn't care. It had all fallen into place. We were going to Vegas AND Disneyland! This vacation was going to be different than what I am used to. Typically I am responsible for planning every last detail, but this time by the time we got on the bandwagon, both the hotels and the shows were picked, so my assignment was going to be picking the restaurants and figuring out what's new and how to spend our days. Friday Breakfast: MON AMI GABI, Paris. We are taking a very early flight from San Jose and by the time we land at 9 and make a quick stop to drop our bags at the hotel, I am sure we will be ready to eat. Mon Ami Gabi fronts the Paris Hotel (just a .6 mile walk from our hotel) and offers an open air French Bistro type setting. I have been here to eat lunch. 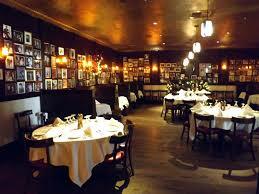 Mon Ami Gabi gets high marks across all meals. 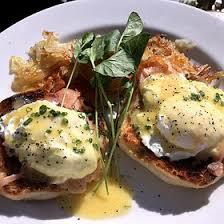 Breakfast is served daily from 7 to 11 am. The breakfast menu is inspired, offering everything from Lemon Pancakes with Lemon Marmelade, to a Spinach and Goat Cheese Omelette, to a Bananas Foster Waffle. One thing that I love however is the offering of fresh fruits and cereals, including a 10 grain oatmeal, in case you are trying to be even a little careful about how much you stuff yourself while in Vegas. You can check out the menu for yourself on the website. Most menu items range from 8-16 dollars. I am looking forward to relaxing with my crepes and cappuchino. This picture doesn't do it justice. I see a table for me!! OH YEAH! I'm all over that! Craig and I needed an Italian restaurant Friday night that could take us late, (9:30--after seeing the Rat Pack at Tuscany Inn and Suites) was not too fancy and not too expensive. Rao's at Caesar's was on my short list the last time we came to Vegas, so after I got a little nudge from a girlfriend at work who said that was the place to go, I decided to go for it. Rao's has three locations, one of which (New York) is deemed completely impossible to get into. The Las Vegas dining room is bigger, so I decided to go for it. They only appear to serve dinner, and most of the items on the menu run between 25 and 40 dollars, with a steak costing a little more. Rao's also apparently has a patio and a bocce ball court, and offers bocce ball lessons, but it is hard to figure out from the website who actually gets to play bocce ball. RAO's is famous for it's Uncle Vincent's Lemon Chicken and it's Tiramisu. I seriously don't care. 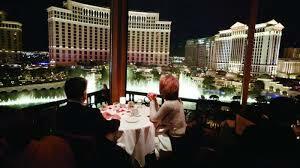 The last time I went to dinner with only my husband was probably three years ago, the last time we went to Vegas. The rest of the family wanted to join us and I politely said we were going on our own. After years of never missing the Cravings Buffet at the Mirage, I kind of felt like it was time to expand my horizons and try another buffet in Vegas. Wicked Spoon was ranked pretty high among the sources I consulted, and another big plus is its proximity, just .4 miles from our hotel. I figured I would grab a workout Saturday morning and head on over to stuff myself! Wicked Spoon serves brunch from 8 to 3 and from what I can gather, costs about 35$ per person on a Saturday, with unlimited mimosas, chardonnay, or cheap beer if you are willing to tack on another 15$. Apparently, Wicked Spoon was at it's peak about 5 years ago. 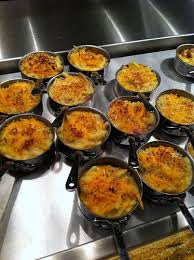 One interesting feature is that everything is served on dishes with individual portions, so there is no scooping from a large "vat-o-mashed-potatoes" onto your plate and then returning the spoon to the vat after that spoon had been smacked onto God knows how many other plates. A nice touch from both a cleanliness and a portion control point of view. Seriously when I saw the pictures, all I wanted to do was eat. Yeah, I think I can start with dessert! Is this mac and cheese? Who cares? I want some! Now this was the hard one. This night needed to be really special, but also needed a lot of needs met. 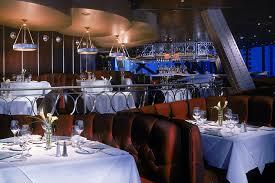 There are oodles of high end restaurants to choose from, but which one to choose! This is the night that we are all eating together and celebrating my mother in law's 80th birthday. There were 6 of us eating, including our 11 year old niece, who is well behaved. I looked at a LOT of Yelp reviews, which really was quite helpful. Knowing the nature of my dinner company, I steered away from words like "trendy" or "hipster." I avoided restaurants that turned into nightclubs. I tried to have four or more stars on Yelp but also tried to avoid an exorbitant price range. 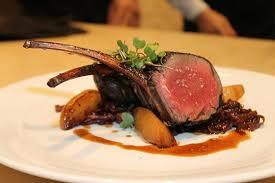 I looked for dressy steakhouses and American food with a noise level of average or less. 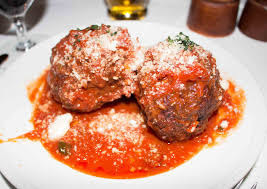 After a lot of research, I got my list down to 6 restaurants which included places like Sinatra at the Encore, Mastro's Ocean Club at Crystals City Center, and Hugo's Cellar downtown. I sent the list to my sister in law with a big overview of pros and cons. They chose the Eiffel Tower Restaurant. How bout the food? Some described this restaurant as French, other as a steakhouse, others as American... Ok, here's one..."Updated French Classic Cuisine"...can we hang with that? Quite frankly, I don't care what you call it--I dont think I will have a hard time finding something I want to eat on this menu...Beef Wellington, Rack of Lamb, Duck Breast, Salmon Fillet, Filet Mignon, New York Steak. You get the point. It ain't cheap. There is a trio of caviar for $290 which I guess I can hold off on ordering. My sister in law said we won't show my mother in law the menu, or else she will just order the $18 soup. 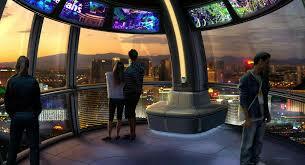 Well that remains to be seen, but on Friday night after dinner Craig and I plan to take a ride on the "High Roller." 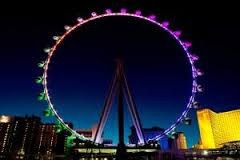 The High Roller is a 550 foot tall observation wheel situated behind the LINQ hotel. The High Roller opened in March of 2014, just a few short months after we came to Vegas last, and is currently the tallest attraction of its kind. It has 28 transparent pods, each of which holds up to 40 people. It is open from 11:30 AM to 1:30 AM. Though cool to ride at any time, prices would indicate that the ride is more fabulous, and therefore in higher demand, at night. The ride takes 30 minutes. "Happy Hour" specials are available both in the daytime and at night. These specials allow you to drink all you want while riding. There was a GROUPON for the happy hour special; 79$ for the two of us instead of 94$, so we went for it. Normally, with an online discount of 5$ per ticket through caesars.com, an adult ticket for a daytime ride is $20 and $33 for the "happy hour" ticket. At night, the prices are higher, $32 for an adult ticket and $47 for the happy hour. I am slightly concerned that I might have to go the bathroom while riding this thing, and in general the heights are going to freak me out a bit, and hopefully it's not TOO crowded...but I think it's going to be great! Looks pretty cool from the inside!! is that really the view?? Crazy! 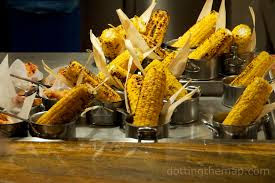 Anyone hungry? Looking at all this fun made me very ready to head over to Vegas and start the party! Thank you for reading this post!